Wolves are charismatic emblems of wilderness. Dogs, which descended from wolves, are models of urbanity. Do free-ranging dogs revert to pack living or are their societies only reminiscent of a wolfish heritage? Focusing on behavioral ecology, this is the first book to assess societies of both gray wolves and domestic dogs living as urban strays and in the feral state. It provides a comprehensive review of wolf genetics, particularly of New World wolves and their mixture of wolf, coyote and dog genomes. Spotte draws on the latest scientific findings across the specialized fields of genetics, sensory biology, reproductive physiology, space use, foraging ecology and socialization. 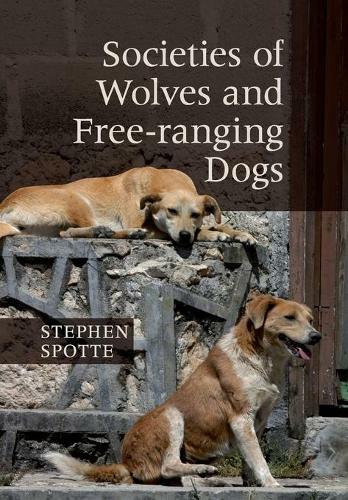 This interdisciplinary approach provides a solid foundation for a startling and original comparison of the social lives of wolves and free-ranging dogs. Supplementary material, including a full glossary of terms, is available online at www.cambridge.org/9781107015197.